The Mutant’s Apprentice is an essay from Bogi Takács, a Hungarian Jewish agender trans author who writes SFF, poetry, and commentary. This essay first appeared in the fourth volume of our Quarterly Almanac. While there are many possible social configurations related to magic in speculative literature, some patterns do crop up more frequently than others. Where do magical people fit into a social order? One possibility is that they exist on the fringes or outside of it. We often see magic-users portrayed as an oppressed underclass, hated and feared because of their powers. Sometimes, the only way for them to acquire a semblance of social standing is to join a guild or association of some sort—this is especially common in science-fantasy treatments of superheroes and/or psychic powers. The Psi Corps of Babylon 5 and the various mutant organizations of the Marvel universe all fall under this umbrella; this trope is so common that TV Tropes even has a page titled “Super Registration Act.” But what is so appealing about it? Magic-users, superheroes and similar characters experience marginalization in these contexts: they are forced into an organization that in turn dictates their behavior. The registration is almost never optional, and attempting to opt out turns you renegade—a common nexus in the stories of many supervillains. Especially in comics, Registration Acts are often used to talk about racism without the need to bring the potentially volatile topic of real-world races into the plot. A very salient example: the land of Genosha in The Uncanny X-Men was explicitly designed to introduce issues of slavery. In Genosha, mutants were registered to be enslaved and their powers were used for all sorts of labor, even powering public transportation—to the horror of the X-Men, some of whom were themselves captured by the oppressive Genoshans and had to fight their way free. This storyline, part of the classic run of The Uncanny X-Men written by Chris Claremont and penciled by Marc Silvestri, played both textually and visually into slavery and apartheid themes, while still having a mostly white cast. The original creators and lead writers of many superheroes, like Stan Lee or Chris Claremont, were Jewish: privileged enough in an American context to find a place in mainstream comics, but not so privileged as to be able to ignore the realities of marginalization. Judging from their storylines, they presumably thought that comics discussing oppression could inculcate young readers against racially based hatred. But they needed to avoid the sometimes very explicit censorship of the Comics Code Authority. The self-policing attempts of the American mainstream comics industry were from the very beginning directed to avoid direct discussion of racism among other “sensitive” topics. One of the first incidents of a comic not meeting code requirements was also related to a Jewish writer. Al Feldstein wrote about American racism in his 1953 short story Judgment Day; specifically anti-Black racism and segregation, in a context of fantastic races. A human astronaut meets racism among “orange and blue” alien robots and defies it—in the last panel of the comic, the astronaut is revealed to be Black. Feldstein rejected regulatory demands to whitewash the astronaut. The story was published, but Feldstein’s publishing company was driven out of business. Fantastic and real-world racism were not deemed suitable to co-occur. But as the restrictions on American comics gradually eased, and the Comics Code Authority itself was eventually dismantled, treating fantastic oppression as a stand-in for real-world oppression remained as a de facto industry convention. Many stories adopted it with seemingly little awareness of its origins as a direct attempt by minority creators to subvert majority norms about what was deemed acceptable discourse in comics. At the moment, Marvel is even experimenting with the “edgy” plot twists of making multiple superheroes with anti-racist origins suddenly allied with Hydra, the Marvel universe’s de facto Nazis. In the X-Men, there is ample tension between the white Professor X, who wants to cooperate with non-mutants, and the Jewish Magneto, who buckles their authority. This tension was themed on the divisions between Martin Luther King, Jr., and Malcolm X, explicitly by some of the writers and implicitly by others—as examined in Phenderson Djèlí Clark’s thorough article On Malcolm, Martin and that X-Men Analogy Thing. But did these analogies succeed in inculcating an awareness of civil rights issues in white American readers? When observing present-day fan conversations, we are often left with the feeling that this did not happen. Now that present-day superhero comics are becoming more open to minority creators and especially creators of color, this increased openness is met with resistance mostly from vocal groups of young white male fans. They do not want discussions of race or gender, they do not want “identity politics.” Has the original social-justice point entirely been missed? I would argue that the points and mechanisms of oppression were not lost on the majority readers, even these particular majority readers. But the fact that the oppressed group was fictional, allowed readers to empathize with the oppressed heroes while being committed to perpetuating real-world oppression. Identifying with oppressed superheroes and other exceptional, magical or psychic people also means you are identifying with them on the basis of an inborn characteristic, like skin color—but unlike skin color, one that is explicitly tied to exceptionality. Mutants, magic-users etc. in these storylines have more power than the mundane majority. This power in itself leads to them being subjugated—and this makes the mutants somewhat like fans, who have the amazing knowledge and powers of fandom (which the explicitly “mundane” mundanes entirely miss), but who are derided and ridiculed. Majority readers could feel oppressed due to being geeks—an argument especially commonly made by people targeting minority fans today. These majority fans could thus avoid discussion of real-world oppression. That this avoidance was deliberate became apparent when said discussion of real-world oppression increasingly began to appear in mainstream comics in the past couple of years. Instead of lauding breakout titles like G. Willow Wilson’s ongoing run of Ms. Marvel, where Ms. Marvel is a Pakistani-American Muslim teenage girl, many of these readers expressed vocal opposition—as chronicled for example in Angelica Jade Bastién’s essay For Women of Color, the Price of Fandom Can Be Too High, in the New Republic. Ultimately, the Comics Code was more successful in shaping trends than the efforts of individual creators to buckle it. Oppression became a power fantasy. We are oppressed because we are awesome? Many fans could identify with that, even as they perpetuated other kinds of oppression. As we’ve seen above, these themes have been discussed by critics of speculative media, but another point hasn’t been tackled yet, to my knowledge. Why does the oppression of these exceptional groups so often take the form of an organization whose creation is decreed by law? I would argue that this is because Western-centric implicit assumptions about how societies develop and become more advanced. I say Western-centric and not Anglo-centric or Euro-centric for a reason. These tendencies are broader than Anglo-Saxon countries, first of all, and they are not specific to Europe. Indeed, right now with SFF fandom being strongly centered in the US, they are more common in the US, and the word “Euro-centrism” often becomes an elaborate, subtle dodge of uniquely American responsibility—even though it was not originally intended as such, but rather as a term highlighting the effects of colonialism. Present-day Western societies prize the rule of law as something that mitigates the abuses of excessive social power. As the facade of the Harvard Law School library proudly declares, “NON SVB HOMINE SED SVB DEO ET LEGE” —“not under man, but under God and the law,” a quotation attributed to thirteenth-century English legal scholar Henry of Bracton. What has been handled historically with social arrangements formalized to varying degrees, such as the feudal relationship between lord and vassal, now becomes impersonal. We can see this development of Western thought recapitulated in fantasy literature, where as the setting nears a hypothesized present, so do magical apprenticeship-like structures turn into guilds, Prussian-style magical schools, and eventually organizations inspired by modern labor unions. It is a telling and usually unexamined point that the end result of Superhero Registration tropes is not only a form of labor union, but also the fact that you need to join the union is portrayed as oppressive. We might want to take a moment to think about who ultimately benefits from these portrayals. Even when the labor union connection is made, writers often ignore that labor unions are not unquestioning tools of the regime, but have their own bargaining power—as portrayed in one of the few exceptions, the superhero novel Broken by Susan Jane Bigelow. The assumption is that more formalized and bureaucratic structures are going to develop, unavoidably, naturally. That this assumption is entirely artificial becomes apparent when we take a look at many real-world magical traditions. In non-Western magical and/or mystical traditions, is often explicitly prohibited to form an organization or to disseminate knowledge to more than one person at a time. Just from my own cultural traditions: in Judaism, the mystical “workings of the Chariot” were permitted to be taught only one on one, in an apprenticeship-like structure. In traditional Hungarian shamanism, knowledge was passed on one-on-one from the teacher to the apprentice, and people who had this type of knowledge did not congregate but often avoided each other. Apprenticeship-type stories do appear in speculative fiction, but almost invariably in quasi-Medieval, quasi-pastoral fantasy worlds. This is strongly implied to be a lesser form of social development. We see “the magician’s apprentice,” but we do not see the “psychic’s apprentice” or the “mutant’s apprentice.” Guilds and apprenticeships give way to industrialization and Prussian-style education as the only possible form of education. The very few counterexamples sometimes portray apprenticeship as outright evil. In the Star Wars expanded universe, the Jedi have an organization and a magical school, while the “evil” Sith not only follow an apprenticeship form of training, but this is sometimes explicitly stated to be the reason to their downfall. Another twist on the “apprenticeship is evil” theme is that the apprentice often has to best their master, sometimes by killing the master outright—the reason why the Sith decline in number. But this is again not an absolute necessity: we can readily think of many craftsperson’s trades where apprenticeships are still common, and no one expects a restoration carpenter to battle their master to death with a hammer and a chisel! Or, about writing: hopefully writers are not supposed to duel their mentors for the title of “Supreme Writer,” there is room for many people even on the various different awards ballots. Why would it be different about magic or superpowers? This kind of pitting magical or superpowered people against each other is again reminiscent of oppressive tactics used against all sorts of minorities. Divide and conquer, as the Romans said. A young student is either in the well-organized, well-regimented quasi-Prussian magical school—with echoes of residential schools for Indigenous children!—or is depicted as the detritus of history, with antiquated and dangerous practices. Dissent is not tolerated: even in far future organizations like the Psi Corps in Babylon 5, if you fall outside the structure, they hunt you down and this violent opposition is presented as par for the course and stemming “naturally” from your powers. And yes, shamanic practitioners in Hungarian villages did sometimes fight each other—but then they parted ways and went to their separate villages, one for each. While we present-day, often minority writers are subverting many of the obviously colonialist, imperialist tropes, we still find ourselves facing so much that is implicitly embedded in storytelling structures until it becomes entirely invisible. 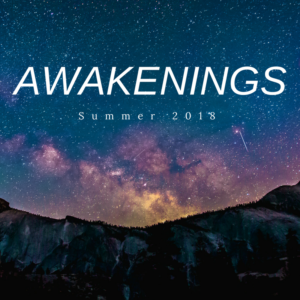 Reexamining our writing, our fandoms, our most cherished SFF moments and themes can be a grueling task—as you can probably tell, I mostly quoted from media that was influential to me! But from this effort, hopefully new stories will grow. Bogi Takács is a Hungarian Jewish agender trans person (e/em/eir/emself or they pronouns) who is currently living in the US as a resident alien. E writes speculative fiction, poetry and related nonfiction, and eir work has been published in venues like Clarkesworld, Lightspeed, Strange Horizons and Uncanny. You can find eir website at prezzey.net and eir book reviews at bogireadstheworld.com. Bogi is @bogiperson on Twitter. 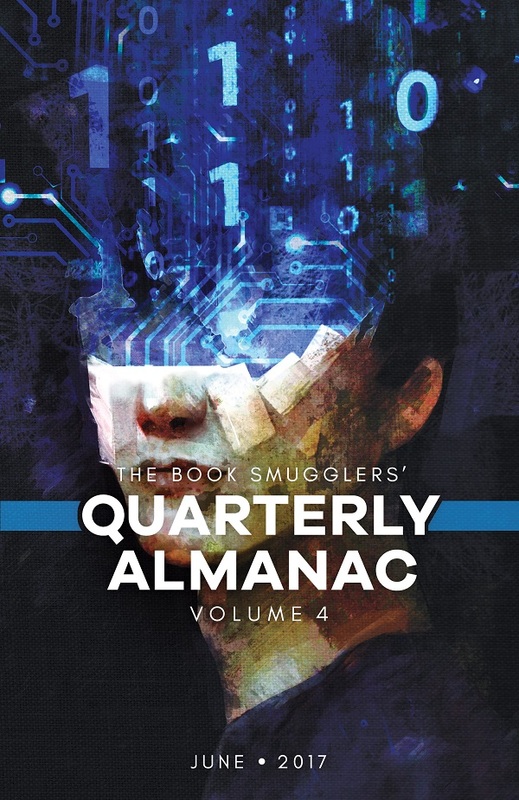 Collecting original short fiction, essays, reviews, and reprints from diverse and powerful voices in speculative fiction, THE BOOK SMUGGLERS’ QUARTERLY ALMANAC is essential for any SFF fan. The Almanac is available now with major retailers – Get your copy by using the links below. Hey everyone! Recently I have been struggling with a lot of hardships. Friends and doctors keep telling me I should consider taking pills, so I may as well this and see how it goes. Problem is, I haven’t taken it for a while, and don’t wanna get back to it, we’ll see how it goes. 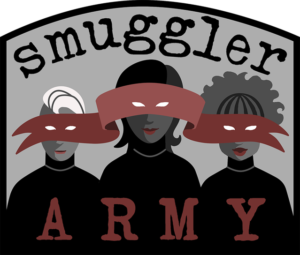 2 : a digital-first publisher of speculative fiction and nonfiction since 2014.